My mom has been visiting me and it’s been a blast cooking with her. Its not often we get to cook together so having her visit me for an entire month is a treat in itself. 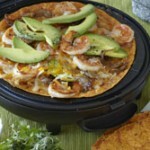 We have been making lots of recipes that remind me of home (El Paso). 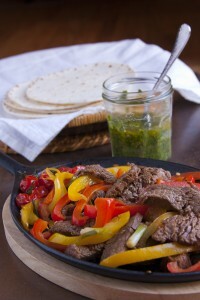 One of the first recipes we made together was steak fajitas. And of course you can’t make fajitas without a cool skillet, so this skillet by IMUSA really made our fajitas look like a rock star on our dinner table. 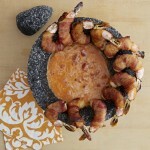 My hubby and kiddos loved the meal and have already requested it again. It’s amazing how a simple dish can bring up so many wonderful memories. 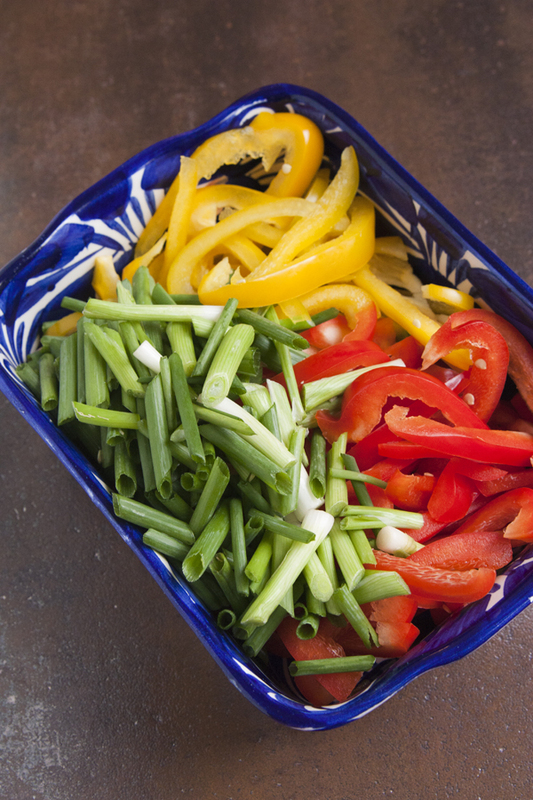 Fajitas are a Tex-Mex classic and it’s a dish that reminds me of home. There was a restaurant in El Paso that served the best sizzling fajitas in town and we would go there often. We celebrated many happy occasions there. The fajitas we made were so tender and all the topping we made to accompany the meal was a perfect weeknight meal that can be made in a short amount of time. So many people ask me how I have the time to cook every night. This meal is an example of a simple weeknight meal. I always tell people that cooking isn’t what takes time – its the planning, shopping, and prepping. Once you have all that in place then cooking is a snap. I suggest making a menu plan over the weekend and buying your groceries once a week for the entire week. Don’t treat cooking like a chore. Treat it like a playground and just have fun. Get cooking and have joy in the kitchen. Do me a favor and don’t use packaged fajita seasoning blends. You don’t need them when making this recipe – this marinade is 100% natural and delicious. 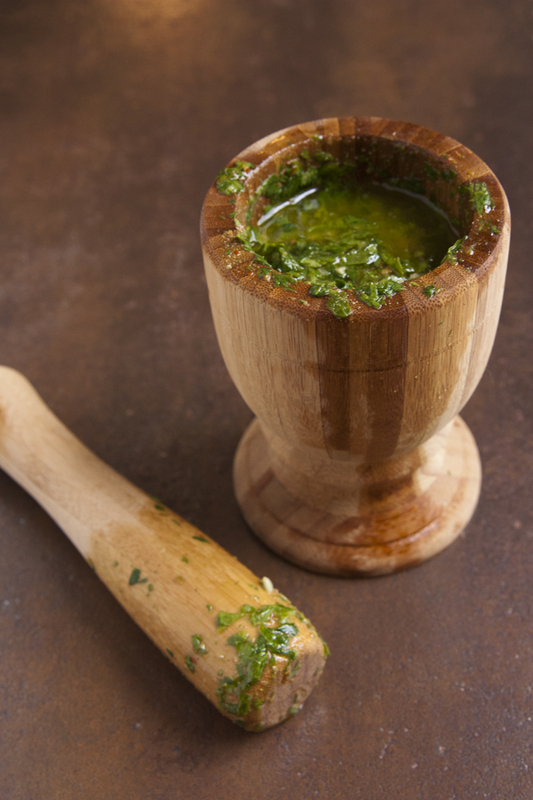 For a fast dinner, try this Tex-Mex classic with the addition of this Argentinean condiment for a dinner with tons of flavor. Place steak in a large resealable plastic bag; set aside. In a small bowl combine garlic, salt, lime juice, 2 tablespoons of the oil, the chili powder, cumin, and black pepper. Pour marinade over steak. Seal bag and turn to coat. 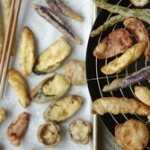 Marinate in the refrigerator about 1 hour, turning bag once or twice. Remove steak from the marinade and thinly slice steak diagonally across the grain, then and add strips back into the marinade while you cook bell peppers and onions. Heat 1 tablespoon of the oil in large skillet on medium-high heat. 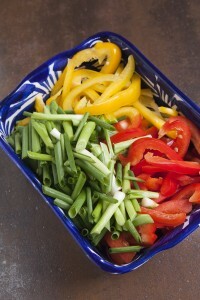 Add bell peppers and onion; cook and stir 3 to 5 minutes. Remove from skillet. In the same skillet add 1 tablespoon of the oil on medium-high heat and add meat; cook and stir 3 minutes or until no longer pink. Remove from skillet. 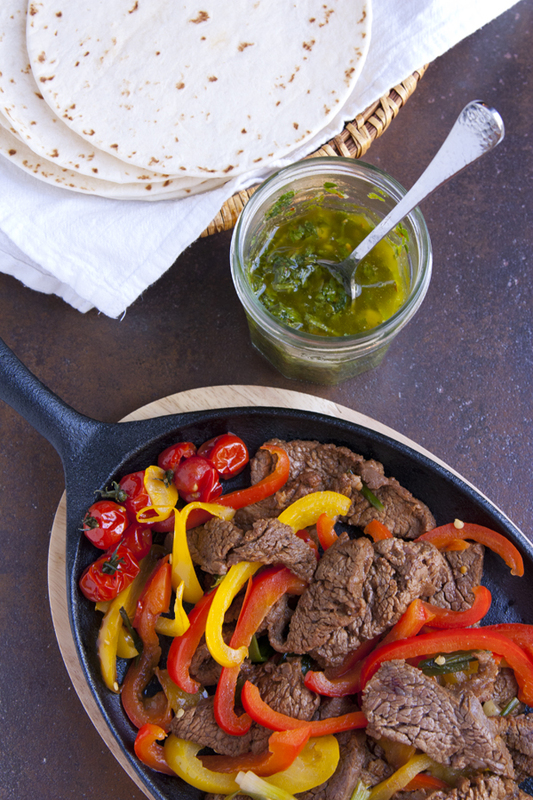 Fill warm tortillas with steak, peppers, and onion.